Do you hear that? It’s the sound of hot dogs grilling, waves crashing, and a bear searching for snacks outside of your tent. Summer is right around the corner, but before all the fun can begin, it’s important to gear up. 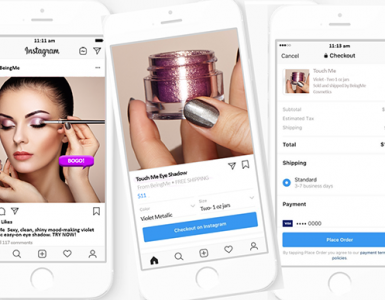 It seems that with every buying season, online shopping becomes easier and the selections get better, and this summer is no different. 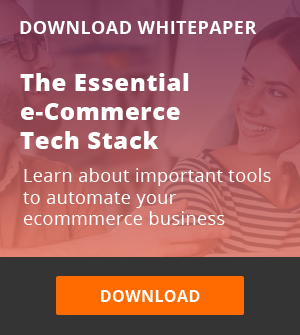 Here is our round-up of essentials for summertime fun sold by Webgility customers, all just a few clicks away from your front door. BioLite CampStove, $130, use promo code WEBGILITY15 for 15% off online orders through 5/31/16, BioLiteEnergy.com. We love this product so much, we’ll fit it into any buying guide, no matter what time of year. 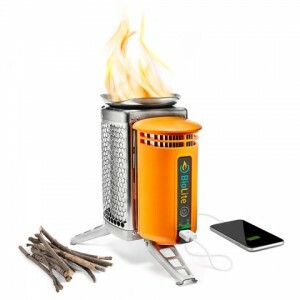 This useful camp stove turns fire into electricity using wood. Yes, that means you can be off the grid without being totally out there, so to speak. Charge your phone, LED lights, and other personal devices. By purchasing, you’ll be empower BioLite to create new approach to energy access; one that empowers people to power themselves. A portion of every sale from the BioLite shop gets re-invested into their work in bringing clean cooking and energy to thousands of families across India and sub-Saharan Africa. OG Mountain Lake Hat, $35, BigTruck.com. Admittedly, summer is a time for not-so-lofty goals. You know, when you finally learn to surf, bake the perfect blueberry pie, or maybe even plant some heirloom tomatoes in the backyard. 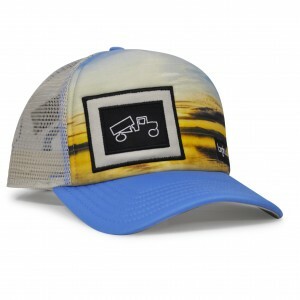 Made for big fun, BigTruck hats are the perfect everyday uniform for the summer activity of your choosing. And their adorable kids line tells the world you’re raisin’ ‘em right. 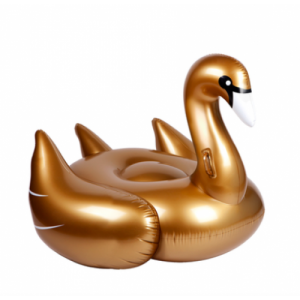 Gold Swan Floaty, $78, use promo code WEBGILITY for 10% off, MaripozaBoutique.com. For the more fabulous among us, this floatation device is as practical a purchase as a pair of flip-flops. Go ahead, we dare you—enter a pool party with this show-stopper and watch the heads turn. If giant birds aren’t your thing, try Maripoza’s delicious-looking Pineapple or Watermelon floaties. Maripoza Boutique has brought the world of fashion to a new level for residents of the Rio Grande Valley. Maripoza Boutique prides itself on quality customer service, and with the launch of their website, they are confident you will enjoy the same feel of a personalized boutique from the comfort of your own couch or your office desk (they won’t tell your boss). Catch Surf 8’ Odysea Log Surfboard, $325, RiderShack.com. This baby has tasty waves written all over it. In other words, Spicoli would approve. The description promises “no more flat days” and we agree, since this board also does double duty as cheerful artwork for your home office. For ultimate sun protection, go totally legit with this Hasselhoff Straw Hat ($20), made famous by the best in the biz, LA County Lifeguards. Rider Shack is a family owned business that began in 2006 with a big dream in humble surroundings—a garage in Marina Del Rey, California. Soon their enthusiasm and love for the beach earned them the title of Best Surf Shop in Los Angeles, and the rest was history. Picnic At Ascot Bold Picnic Backpack For 4, $177, PicnicBaskets.com. Look at you so elegant and prepared! Yup, this top o’ the line backpack is sure to impress your pals this summer. Nothing says, “I win the fun friend award” like a mobile unit carrying corkscrew, cutting board, cheese knife, salt and pepper shakers, wine glasses, plates, and knives. Based in Pennsylvania, PicnicBaskets.com offers free shipping, and a price-match guarantee on exact products you may find elsewhere. And if this particular product isn’t your style, have a look at the site, they sell a skajillion other iterations. 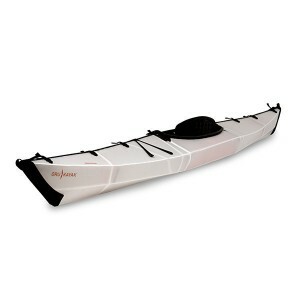 The Bay Series Oru Kayak, $1,275, use promo code WEBGILITY for 10% off all orders, OruKayak.com. The design for this folding kayak is so special it’s in the permanent collection at the San Francisco Museum of Modern Art. This original model for the brand fits right in the middle of casual fun with lots of features. Weighing in at just 26 pounds, we imagine hiking this beauty into remote waters of no man’s land for a weekend of much needed solitude. See ya Monday, maybe. Oru Kayak is a San Francisco based company that aims to change the way people connect with water. Through innovative products and informative services, they hope to make paddling more convenient, fun, and freeing for everyone. Amen to that. 50-Quart Bison Cooler, starting at $329, use promo code WEBGILITY for $10 off any hard or soft cooler, BisonCoolers.com. Made for serious gearheads who happen to be heading to Burning Man, Bonnaroo, or any other summertime endurance event that requires cold beverages. Five days of ice-retention makes their product ideal for that family camping trip or all-day boating or beaching. And their serious about important cooler accessories—we love the Bison Hauler wagon ($129) and Rover Bluetooth Speaker ($99). Bison takes pride in good old-fashioned American craftsmanship. Blood, sweat, and tears built this fine country and they’ve invested theirs into designing and constructing the best coolers on American soil. 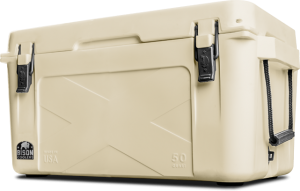 In fact, Bison is so confident these are the best ice chests on the market, they support their products with a five-year warranty. God bless America. This concludes our Summer Essentials for 2016. 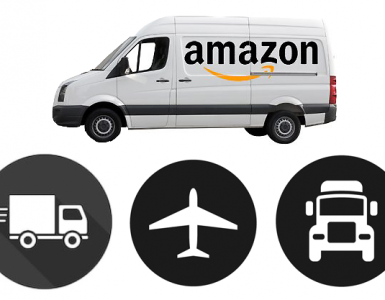 Go forth and party, be safe, and support your favorite online retailers. 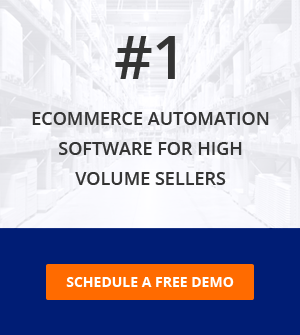 They’ve got great stuff and they can’t wait to sell it to you. 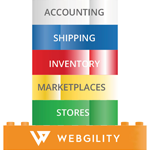 For more information about how Webgility customers are making the most of their e-commerce business, check out these case studies.